Track the most important enterprise related metrics. Customer relationship management (CRM) is a technology for managing all your company's relationships and interactions with customers and potential customers. 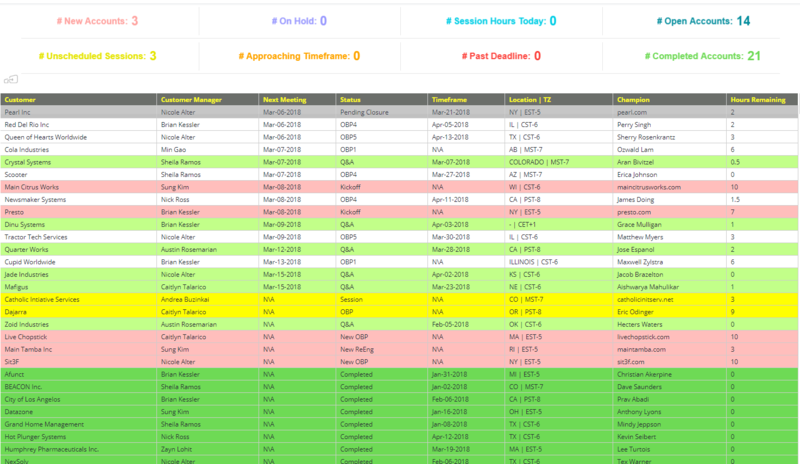 In this CRM dashboard use-case, we will see how Sisense can organize/track/maintain CRM related data to have a hub for managing all customer related information helping employees prioritize workload. It is important to organize customer data based on relevance and to flag customers throughout various stages. In this use-case, we will mash-up data coming from employee google calendars, with data from a CRM system (Salesforce), to organize each customer based on when the employee will meet with them next. 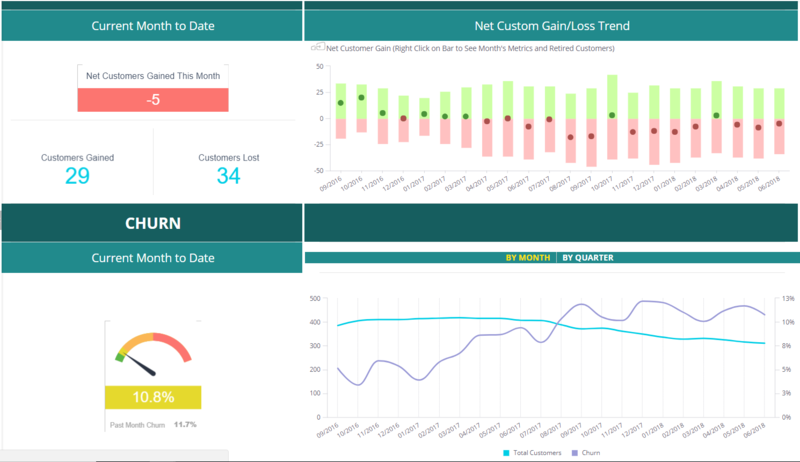 Businesses with recurring revenue have a unique set of challenges with customer churn analysis and client retention. There can be many contributing factors to this complexity including but not limited to transaction records added only on purchases but not cancellations, historical measurement capturing users who have not yet had the chance to repurchase, or varying repurchase cadences requiring independent measurement. Many companies make significant investments when hiring new employees- There are recruiting costs, training costs, salary, benefits – and the list goes on. In addition, it could take a while until companies start seeing a return on their investment. Hence, companies are constantly looking for ways to reduce employee turnover rate and to prevent valued employees from leaving the company. 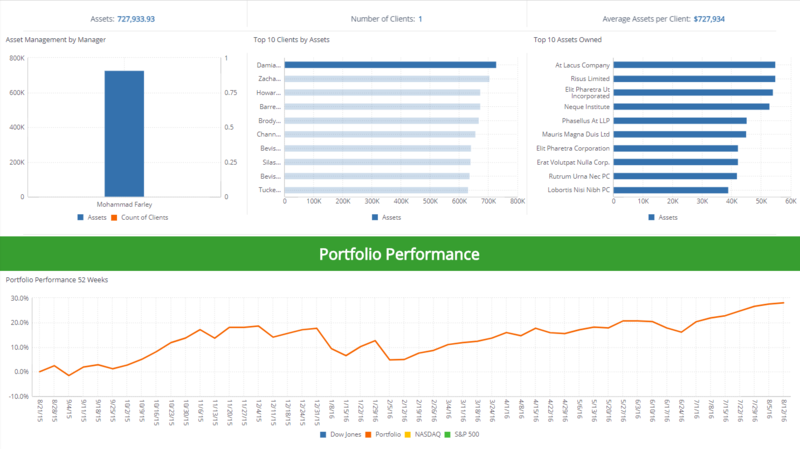 What is an enterprise dashboard? 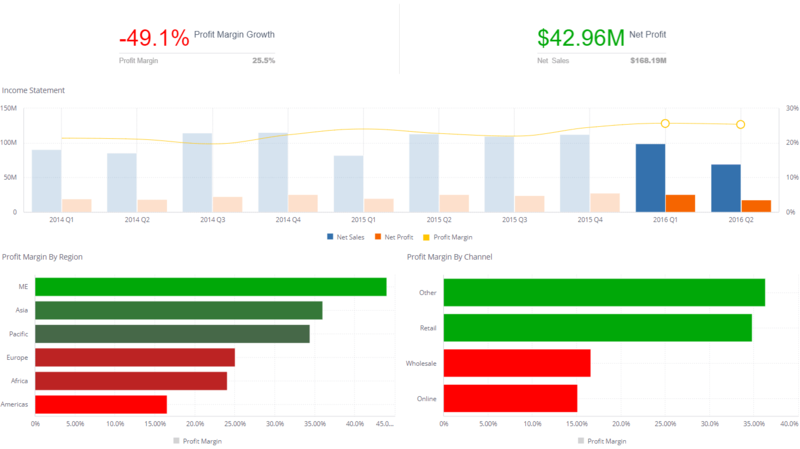 An enterprise dashboard provides management and executives with an instant visual representation of their enterprise KPIs. 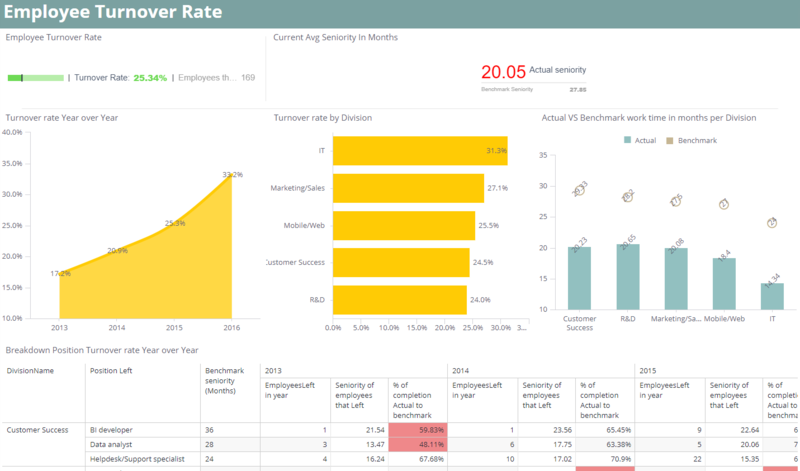 Sisense’s enterprise dashboard examples, allow users to track and monitor the enterprise's performance across industries and departments like manufacturing, marketing, HR & finance, and get a broader understanding of their organization's performance. 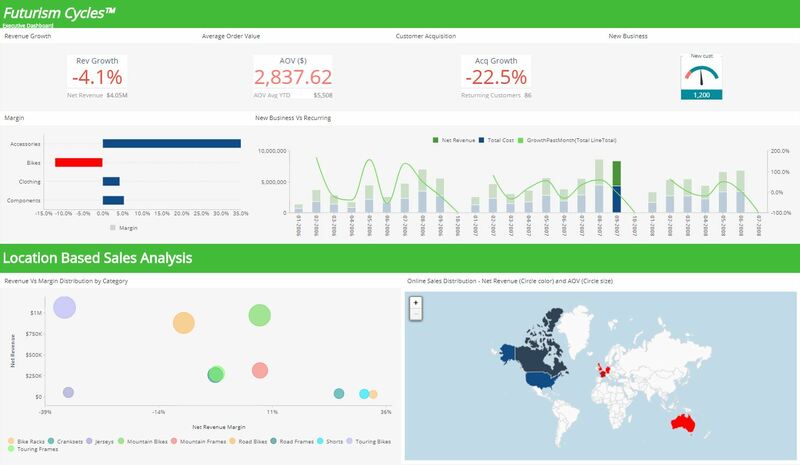 Enterprise BI dashboards give managers a bird's eye view of their organization, assuring they will be aware of problems in real time, remain agile, and ultimately be able to save their business valuable time and money.